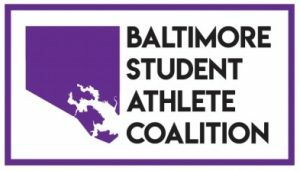 The Institute to Promote Athlete Health & Wellness (IPAHW) was recently named as a member of the Baltimore Student Athlete Coalition. The Coalition’s purpose is to enhance equity, education, and character growth to empower lives in the Baltimore community through the collaboration of dynamic sports organizations and initiatives. Members of the Coalition include Under Armour, the Baltimore Ravens, the InSideOut Initiative, the Fund for Educational Excellence and the Baltimore City Schools.